It doesn’t take long for the season’s parties, feasts and shopping to wear one down. Älsa,the new focus + energy supplement mix, is a simple way for active adults to add a steady boost to their daily routines, without the exhausting crash of most energy drinks. Setting itself apart from the rest, Älsa offers myriad benefits through its blend of Cognizin® citicoline, which is clinically proven to provide enhanced focus and memory function, and PURENERGY®, a patented ingredient that combines caffeine and pTeroPure® pterostilbene for sustained energy. Each packet contains 14 essential vitamins and minerals, amino acids L-Carnitine and Taurine, and is rich in electrolytes. The product is also gluten-free and vegan. Älsa is naturally sweetened and comes in three flavors – Pomegranate Blueberry, Three Citrus and Dragon Fruit—and can be dissolved in 16 ounces of water or added to your favorite yogurt or smoothie, making it easy to use without disrupting a busy day. 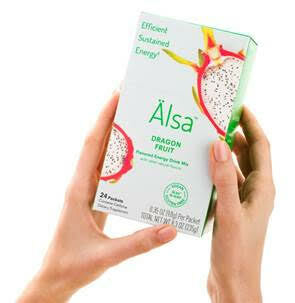 Each serving of Älsa comes in a slim packet and a box of 24 Älsa packets costs $39.50 on the company website and Amazon. I have been trying this for about 2 weeks now and have found that the product really works. It is easy to mix into your drinks or foods and tastes great. Best of all though is that you can definitely feel the extra energy you get with this that you did not have before using it. What is best is that this is not filled with a ton of fillers or things that many times you find in energy drinks. If you have never heard about this, you should check it out for yourself and see what you have been missing!